Due to my 2 week trip to Togo during the 5V7EI DXpedition I wish to reduce the amount of letters my family receive whilst I am away. 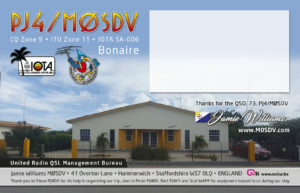 If you require a QSL card please allow enough time for it to arrive by Saturday 9th March. This is so I can post ALL out standing requests on Monday 11th March. 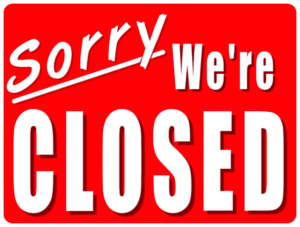 ALL requests received on or after Monday 11th March will NOT be opened or answered until Monday 1st April at the earliest. I will also unlikely answer emails until I return. If your message is urgent then please mark in the subject field “URGENT – your subject” and I will try my best to resolve the issue from Togo Via my smart phone. I look forward to working you from Togo! A team of four Young, Enthusiastic and talented operators all under the age of 26 will embark on an adventure to a top 50 DXCC entity, Kosovo. They will be QRV from the 10th December for 12 days. They will operate 160-10m SSB, CW and Data including FT8 Fox & Hound mode. 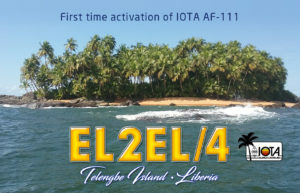 The QSL work for Brand New IOTA AF-111 DXpedition EL2EL/4 is under way. 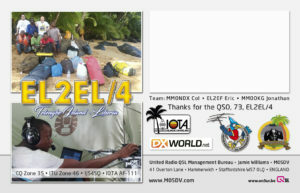 The QSL card has been designed and is currently being printed by Top Quality printer Max ON5UR. This design was initially published by DXworld on Social Media. One of the biggest aims of this DXpedition was to raise money for the MAF (Mission Aviation Foundation) and The locals of Liberia. This was done with a just giving page and OQRS donations. With £2000 raised before the DXpedition and ever increasing donations being made with QSL requests Via OQRS and direct letters. An Incredible effort! 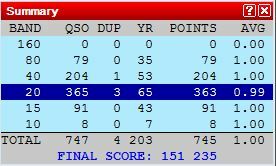 The team made almost 5000 QSO’s from the Brand New IOTA, So far we have had 500 QSL requests using QORS and less than 20 Direct letters. This is a very good outcome and a great for success for OQRS which is growing in popularity each and every year. I Hope for All direct requests to be in the post within the next 10-14 days, LoTW has been uploaded. In the meantime there is plenty of DX to work whilst you wait. 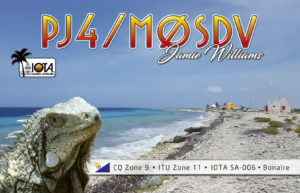 Finally after long delays of my own doing QSL cards for my PJ4/M0SDV in March are now in the printers. I hope to receive the cards and send them out within 10-14 days. 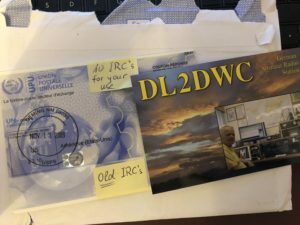 Thank you to Ronald DL2DWC for the donation of 10 out of Date IRC’s included with his QSL request for EL2EL/4. United Radio QSL bureau returns out of date IRC’s in return for stamps which greatly helps our outgoing QSL Bureau service. Back in March of this year I went on a trip to Bonaire along with good friend DK6SP. We spent around 2 weeks on the island in total. During this time we operated holiday style as PJ4/Homecall and we participated in CQ WPX SSB as PJ4V. 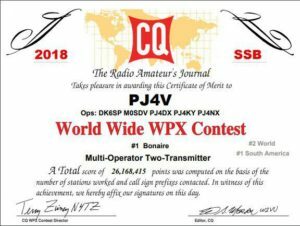 Our Team for this contest was; DK6SP, M0SDV, PJ4DX, PJ4NX and PJ4KY. We entered the Multi-Two category, High power. Using Equipment borrowed from the island residents and some of our own. The station consisted of 100% wire antennas. Our Final adjudicated score was 5653 Q’s, 1235 Pfx and 26.18 Mil points, Leaving us 2nd World, 1st South America and 1st Bonaire. I feel the team worked very well together. This is the first time Multi-Two has been attempted with these guys and it was a pleasure to operate with them. We could not have hoped for such a good result. Only Bigger and Better for the future. 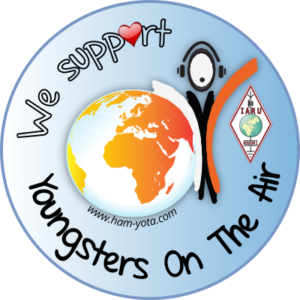 This week Many Youngsters from around the IARU region 1 will be heading down to South Africa for a week of Radio fun! There will be 80 Participants from over 30 countries attending this Annual event. The Camp is intended to bring many of the worlds young radio hams together in one place where they can learn, have fun and make friendships lasting a lifetime. 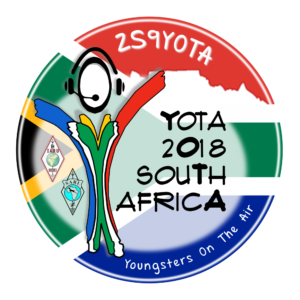 The Week long camp brings many opportunities to the attendees, weather it be making QSO’s on air as ZS9YOTA, Teaching or being taught a new skill and even getting to know those around you with an intercultural evening. Today held the EU HFC contest. This is a 12 hour contest of high rates and all about proving who is the best. This contest is Single Operator Only and QSO’s are allowed only between European stations through out the entire contest. This year I entered All band, CW High power. Using my contest call sign M7K. So my thoughts. I had some slight equipment issues, meaning that I could not get full power output on 80 or 40m, and I had no antenna for 160. However 20-10m worked perfectly even getting a small opening on 10m for a few hours. 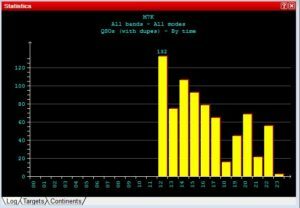 I do not think I took full advantage of the 10m opening with such a little number of multipliers on that band. For the first four hours of the contest I managed to hold a steady rate of 100 Q/h. It may sound like a lot but it leaves a lot of time just calling CQ. Then after four hours the rate started to slow some more. Making around 70 Q/h rate overall. I put this down to poor conditions and lack of activity. This contest is known for its high rates So you can imagine that I was surprised to be going so slow. I am away for 19 days between 15th March and 2nd April. 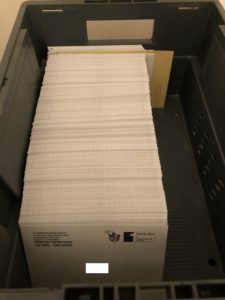 All QSL cards before this date have been sent out. Any QSL cards you request between these times will likely be delayed until I arrive home in the UK. I apologise for any Inconvenience. 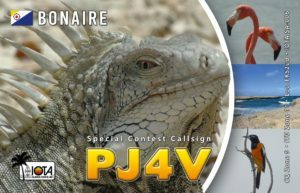 I am going to the Caribbean Island of Bonaire where I will do a DXpedition and the CQ WPX Contest. For full information on this activation see one of my earlier posts. 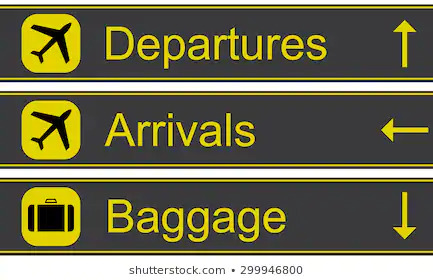 I will update here as and when during my stay.